A pod of Gray whales was saved from injury or death over the weekend after a whale-watching boat successfully halted a U.S. Navy warship that was moments away from colliding with them. 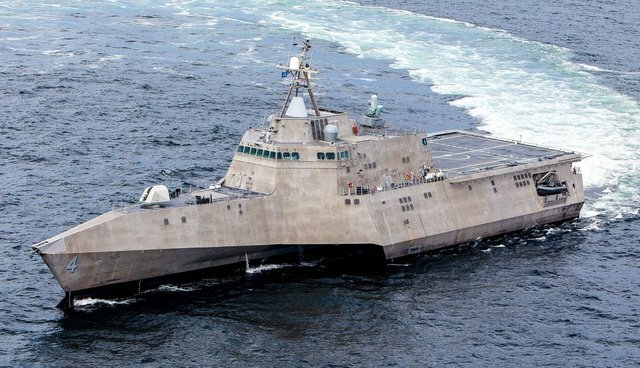 Captain Todd Mansur of Dana Wharf Whale Watching was leading a tour off the coast of Dana Point, California when he spotted the USS Coronado on course to run over the animals. Mansur quickly radioed the ship's crew urging them to stop. Thankfully, the 419-foot navy vessel did heed the warning and was able to stop just in time, granting the migrating whales right-of-way for the two hours it took them to pass. Had Captain Mansur not been there to warn the warship, it could have easily ended in tragedy for the whales. Boat strikes remain one of the leading killers of whales and other surface-going marine species. In the last decade, more than 50 large whales were killed on the California coast from these collisions, though many more incidents are thought to go unreported.